Around three years ago the FQC decided to lend its support to a proposal for a school resource that would use examples from primary industry (food production in particular), to teach science and critical thinking. The New Zealand Groundspread Fertilisers Association’s new national biosecurity guidelines, preventing the spread of weed and pest diseases, have been welcomed by Federated Farmers’ Mid Canterbury arable chairwoman Joanne Burke. A new online training course, specifically designed for farmers who spread their own fertiliser, provides instruction on the important areas of how fertiliser can be best applied, how farm productivity can be maximised and what health and safety spreading requirements must be met. 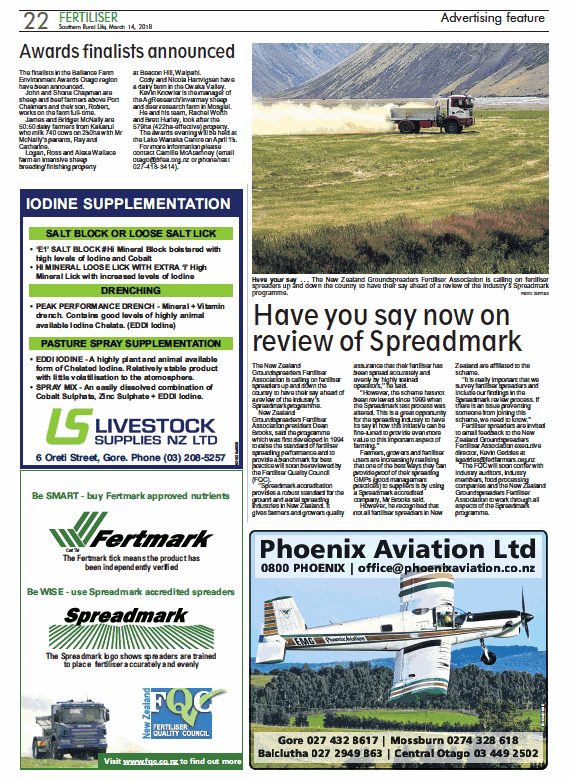 The New Zealand Groundspread Fertiliser Association (NZGFA) is calling on fertiliser spreaders to have their say ahead of a review of the Industry’s Spreadmark programme. 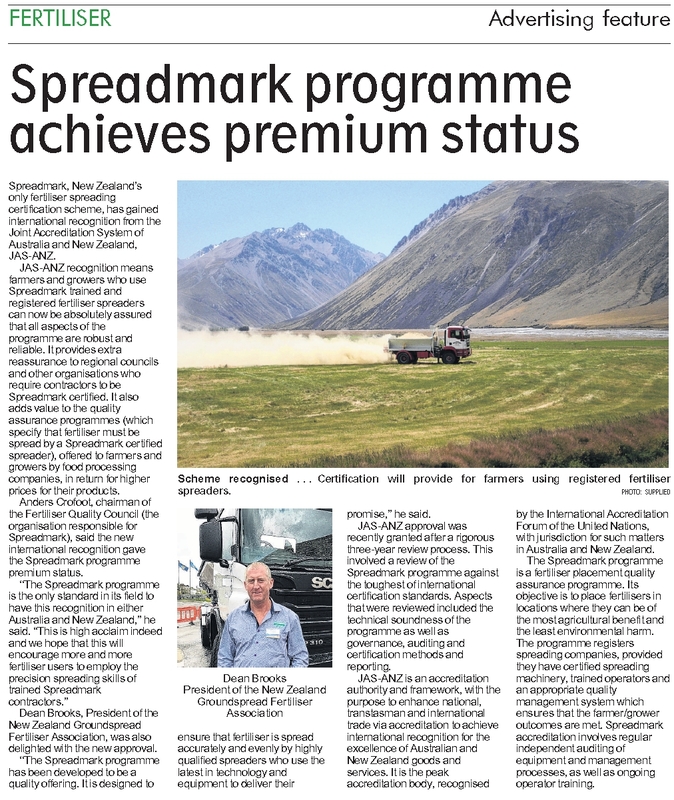 The New Zealand Groundspread Fertilisers Association (NZGFA) is calling on fertiliser spreaders up and down the country to have their say ahead of a review of the industry’s Spreadmark programme. Only Spreadmark aerial accredited companies can provide farmers and other fertiliser users with an independently audited ‘proof’ of rate fertiliser placement. Farmers must ask suppliers if their fertiliser has been independently audited and approved by the Fertmark scheme.